This is the former entrance hall to the Palace of Margaret of York. 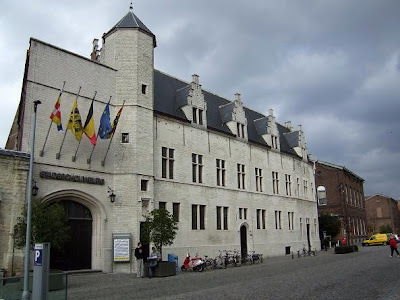 After her husband Charles the Bold died, Margaret of York made Mechelen her main residence. 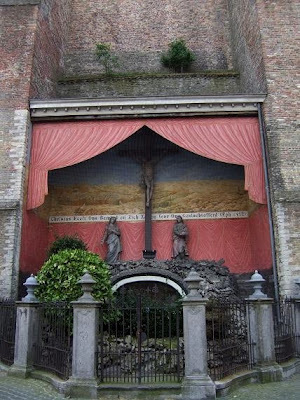 The palace was built in the 15th century in Brabantine Gothic style and is now the city theatre. 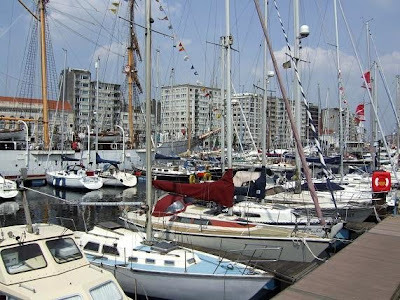 View location in Mechelen, Belgium. 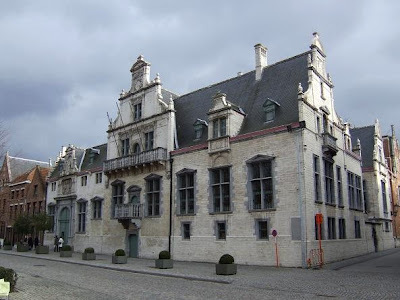 This 16th century building was constructed by Rombout II Keldermans as a residence for Margaret of Austria. 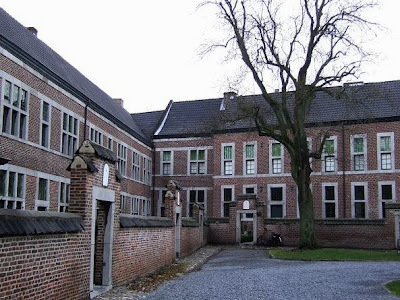 She was the Regent of the Netherlands and lived here from 1510 until her death in 1530. 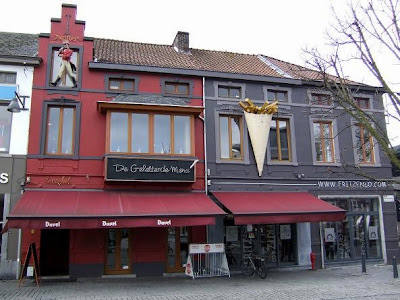 At that time this building was one of the first in Renaissance style in the Low countries. The palace is now being used as the city courthous. 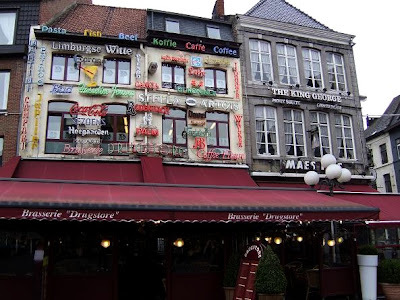 The Brussels gate is the only remaining part of the old medieval walls which once encircled the entire city of Mechelen. The gate dates from around 1300 and has 180 centimetres thick walls at the towers. 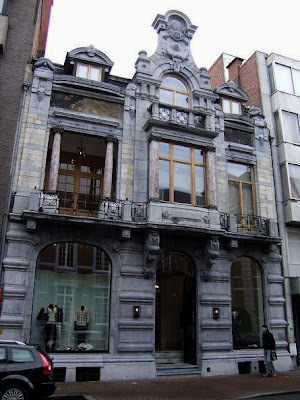 After having many different uses, the Brussels gate is now the home of theatre society "Het Firmament". 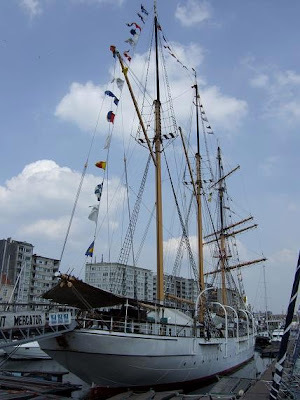 The Mercator is a three-masted barquentine, designed by the Antarctic explorer Adrien de Gerlache. 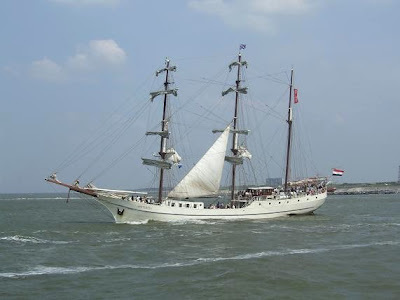 It was used as a training ship for the Belgian merchant fleet from 1932 until 1961 and made 41 voyages altogether. 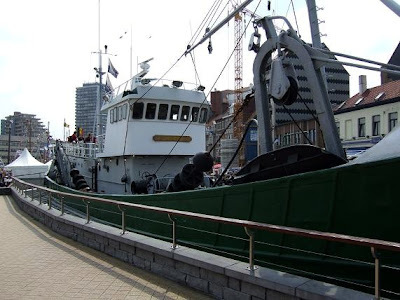 Since 1964 the Mercator lies at anchor at Ostend and serves as a museum ship. 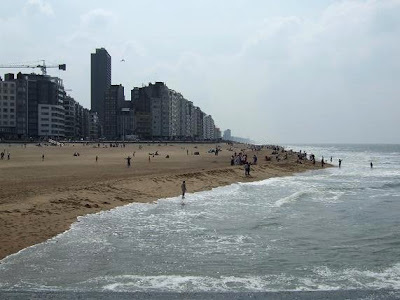 Ostend is the most popular city at the Belgian coast. 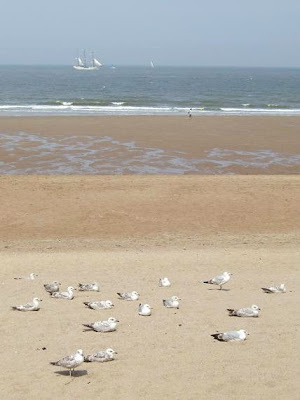 It is located in the West of Belgium in the Province of West-Flanders. 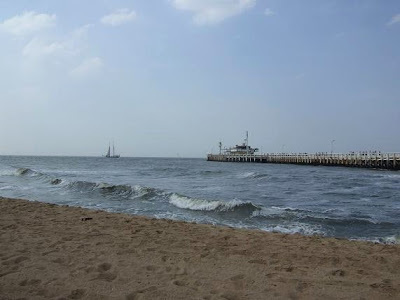 It has many interesting places to visit and a great esplanade for a walk with a beautiful view on the sea. 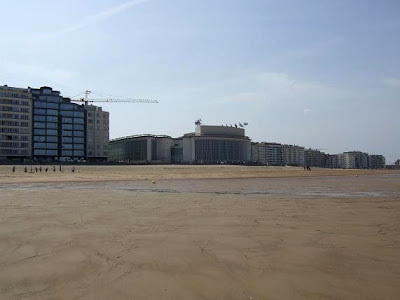 The fine-sand beaches in Ostend with in the back the casino. 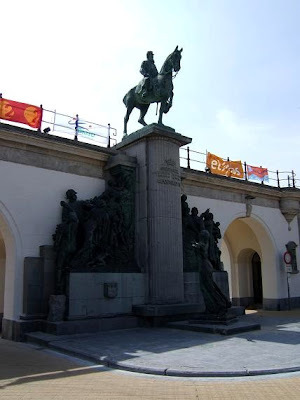 Statue of King Leopold II. 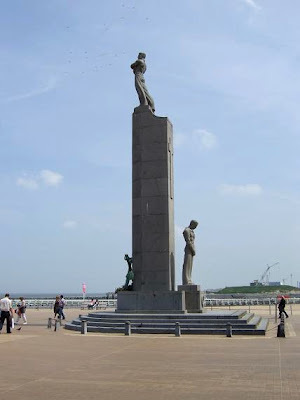 Memorial statue for those who died on the sea. 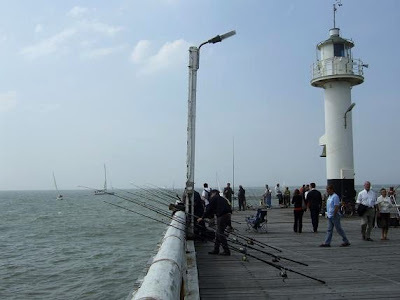 Fishing boat close to the docks open for visitors. 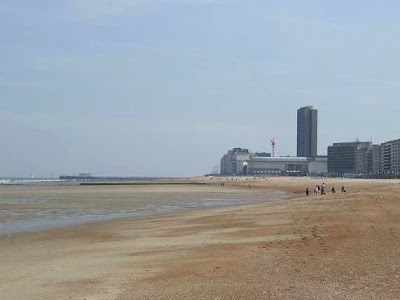 The pier esplanade with a view on the beach and the ships leaving Ostend. 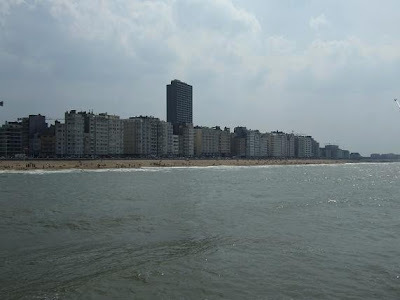 View location of Ostend, Belgium. 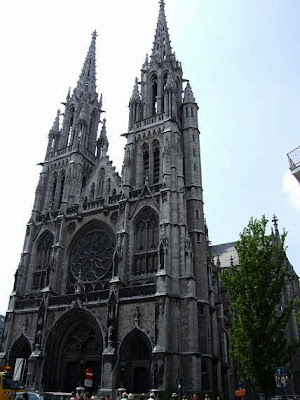 This beautiful Neo-Gothic church in Ostend was built between 1899 and 1908. 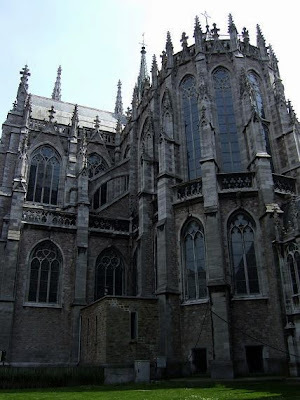 It was constructed on the ashes of the previous church that occupied the site and is modeled after Cologne Cathedral and Vienna's Votivkirche. 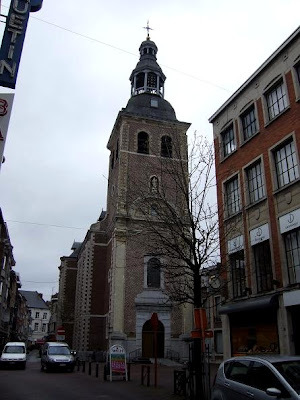 Next to the church you can see an older tower, the Peperbusse. This is a remainder of the former church that stood here and was destroyed by fire. 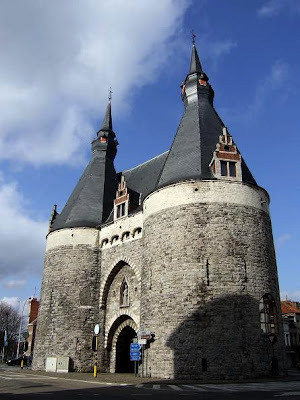 The first stone of this tower was laid in 1478, it now houses a small museum. 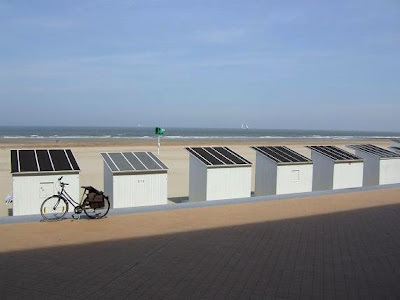 View location in Ostend, Belgium. 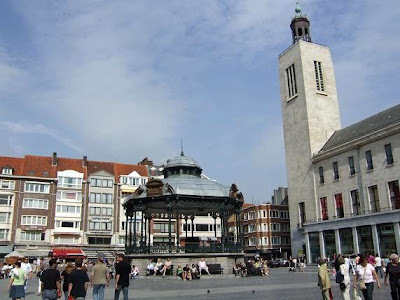 Hasselt is the capital of the province of Limburg in Belgium. 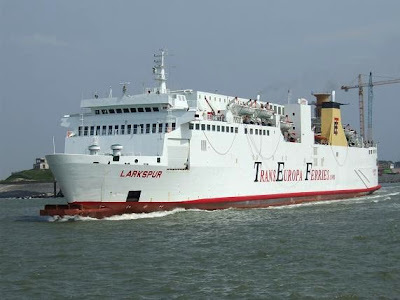 It's located about 85 km from Brussels and Antwerp. 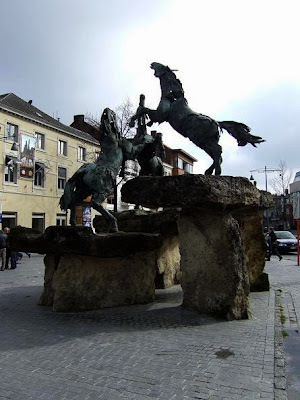 Paardenkracht(Horse Power), made by Jan Desmarets. 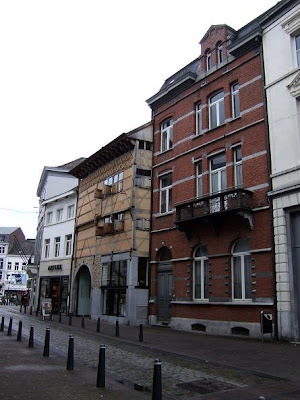 This house above is called 't Sweert (the sword), one of the oldest timbered houses in the Low Countries. 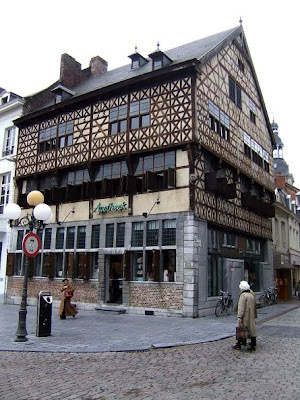 It was built in 1462 and renovated in 1659, it now houses a pharmacy. 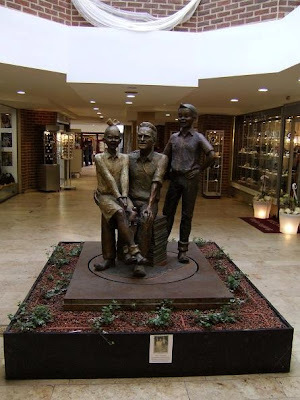 Statue of the Borrelmanneke, a symbol for the Genever industry in Hasselt. 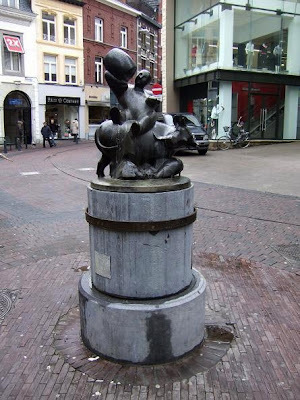 During the annually Geneverfeesten real Genever comes out of this fountain. 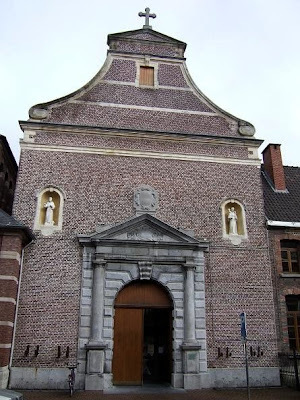 The Virga Jesse Basilica, constructed in 1727-1728. 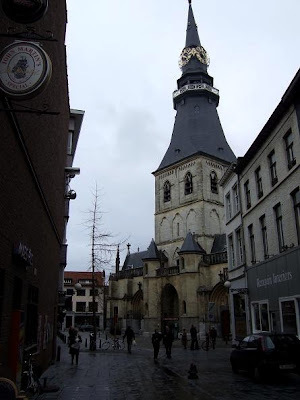 The sacred little father, he entered the Franciscan order and practised his priestly ministry in Hasselt for 50 years. He died on January 1st 1905, his body is entombed in this building. 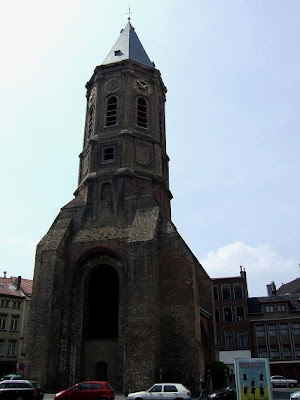 St.-Quentin's Cathedral. 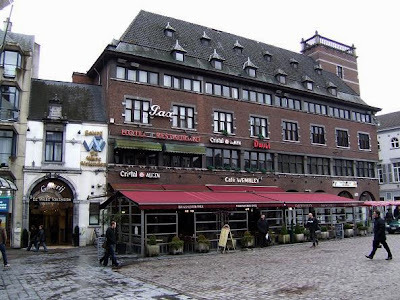 The lower part is a reminder of a Romanesque church that stood here during the 12th century. 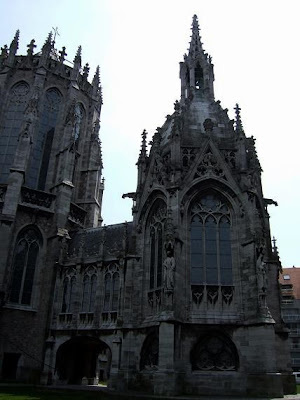 As from 1250 this church was transformed in Gothic style. The steeple of the tower dates from 1725. 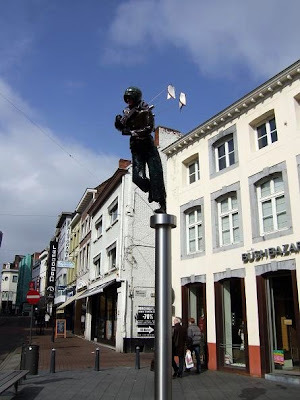 View location of Hasselt, Belgium.